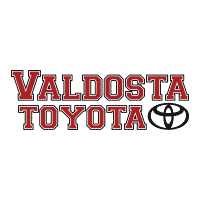 At Valdosta Toyota, we believe in being embedded and invested in our surrounding communities. Our business is not contained by the walls of our dealership or even by the city limits of Valdosta, Georgia, instead we pursue much higher aspirations of how a large but local business should exist within the greater landscape of South Georgia and North Florida. We diligently search for opportunities to give back to the people, businesses, and causes that are near and dear to our hearts and our customers’ hearts. One area in particular that we make a concerted effort to be present and supportive within is high school athletics. Our ongoing partnership with ITG Next provides us the enhanced capability of discovering and accessing remarkable student-athletes across all of our South Georgia high schools. Every season, every sport, every school: we support these programs as a way of supporting the development of young boys and girls into mature men and women that pursue excellence in the classroom, in the home, in the game, and in the community. Our objective in showcasing these interviews is to highlight the inspiration, preparation, and determination of your community’s most outstanding student-athletes. These developing young people are setting prime examples in their pursuits on and off of the field of play, and we believe that they are deserving of recognition for those efforts. It is these same ideals of selflessness, servanthood, and determination that fuels our team here at Valdosta Toyota, and we hope that it inspires you, too! So we encourage you to watch these interviews with the same sense of pride and encouragement that we do, then, see how you can be involved in impacting these inspirational student-athletes! Click on any of the school names below to show the YouTube playlist of all of our interviews from that school. Clicking the menu button on the top left of the YouTube window will reveal all of the videos in that playlist. Want an easier way of watching? Subscribe to our YouTube channel! Are you searching for a new Toyota in Lowndes, used Toyota in Lowndes, or a Toyota dealership in Lowndes County? End the search and discover the one-of-a-kind dealership experience at Lowndes Toyota! If you are looking for a Toyota Camry in Lowndes, Toyota Corolla in Lowndes, Toyota RAV4 in Lowndes, Toyota Tacoma in Lowndes, or any other models from our diverse selection, don’t delay! Contact our amazing staff today to get your questions answered and one big step toward owning a vehicle that you can love and afford. Are you searching for a new Toyota in Tifton, used Toyota in Tifton, or a Toyota dealership in Tift County? End the search and discover the one-of-a-kind dealership experience at Tifton Toyota! If you are looking for a Toyota Camry in Tifton, Toyota Corolla in Tifton, Toyota RAV4 in Tifton, Toyota Tacoma in Tifton, or any other models from our diverse selection, don’t delay! Contact our amazing staff today to get your questions answered and one big step toward owning a vehicle that you can love and afford. Are you searching for a new Toyota in Douglas, used Toyota in Douglas, or a Toyota dealership in Coffee County? End the search and discover the one-of-a-kind dealership experience at Douglas Toyota! If you are looking for a Toyota Camry in Douglas, Toyota Corolla in Douglas, Toyota RAV4 in Douglas, Toyota Tacoma in Douglas, or any other models from our diverse selection, don’t delay! Contact our amazing staff today to get your questions answered and one big step toward owning a vehicle that you can love and afford. Are you searching for a new Toyota in Leesburg, used Toyota in Leesburg, or a Toyota dealership in Lee County? End the search and discover the one-of-a-kind dealership experience at Valdosta Toyota! If you are looking for a Toyota Camry in Leesburg, Toyota Corolla in Leesburg, Toyota RAV4 in Leesburg, Toyota Tacoma in Leesburg, or any other models from our diverse selection, don’t delay! Contact our amazing staff today to get your questions answered and one big step toward owning a vehicle that you can love and afford. Are you searching for a new Toyota in Valdosta, used Toyota in Valdosta, or a Toyota dealership in Lowndes County? End the search and discover the one-of-a-kind dealership experience at Valdosta Toyota! If you are looking for a Toyota Camry in Valdosta, Toyota Corolla in Valdosta, Toyota RAV4 in Valdosta, Toyota Tacoma in Valdosta, or any other models from our diverse selection, don’t delay! Contact our amazing staff today to get your questions answered and one big step toward owning a vehicle that you can love and afford. Are you searching for a new Toyota in Thomasville, used Toyota in Thomasville, or a Toyota dealership in Thomas County? End the search and discover the one-of-a-kind dealership experience at Valdosta Toyota! If you are looking for a Toyota Camry in Thomasville, Toyota Corolla in Thomasville, Toyota RAV4 in Thomasville, Toyota Tacoma in Thomasville, or any other models from our diverse selection, don’t delay! Contact our amazing staff today to get your questions answered and one big step toward owning a vehicle that you can love and afford. Are you searching for a new Toyota in Sylvester, used Toyota in Sylvester, or a Toyota dealership in Worth County? End the search and discover the one-of-a-kind dealership experience at Valdosta Toyota! If you are looking for a Toyota Camry in Sylvester, Toyota Corolla in Sylvester, Toyota RAV4 in Sylvester, Toyota Tacoma in Sylvester, or any other models from our diverse selection, don’t delay! Contact our amazing staff today to get your questions answered and one big step toward owning a vehicle that you can love and afford. Are you searching for a new Toyota in Cordele, used Toyota in Cordele, or a Toyota dealership in Crisp County? End the search and discover the one-of-a-kind dealership experience at Valdosta Toyota! If you are looking for a Toyota Camry in Cordele, Toyota Corolla in Cordele, Toyota RAV4 in Cordele, Toyota Tacoma in Cordele, or any other models from our diverse selection, don’t delay! Contact our amazing staff today to get your questions answered and one big step toward owning a vehicle that you can love and afford. Are you searching for a new Toyota in Quitman, used Toyota in Quitman, or a Toyota dealership in Brooks County? End the search and discover the one-of-a-kind dealership experience at Valdosta Toyota! If you are looking for a Toyota Camry in Quitman, Toyota Corolla in Quitman, Toyota RAV4 in Quitman, Toyota Tacoma in Quitman, or any other models from our diverse selection, don’t delay! Contact our amazing staff today to get your questions answered and one big step toward owning a vehicle that you can love and afford. Are you searching for a new Toyota in Fitzgerald, used Toyota in Fitzgerald, or a Toyota dealership in Ben Hill County? End the search and discover the one-of-a-kind dealership experience at Valdosta Toyota! If you are looking for a Toyota Camry in Fitzgerald, Toyota Corolla in Fitzgerald, Toyota RAV4 in Fitzgerald, Toyota Tacoma in Fitzgerald, or any other models from our diverse selection, don’t delay! Contact our amazing staff today to get your questions answered and one big step toward owning a vehicle that you can love and afford. Are you searching for a new Toyota in Homerville, used Toyota in Homerville, or a Toyota dealership in Clinch County? End the search and discover the one-of-a-kind dealership experience at Valdosta Toyota! If you are looking for a Toyota Camry in Homerville, Toyota Corolla in Homerville, Toyota RAV4 in Homerville, Toyota Tacoma in Homerville, or any other models from our diverse selection, don’t delay! Contact our amazing staff today to get your questions answered and one big step toward owning a vehicle that you can love and afford. Are you searching for a new Toyota in Pelham, used Toyota in Pelham, or a Toyota dealership in Mitchell County? End the search and discover the one-of-a-kind dealership experience at Valdosta Toyota! If you are looking for a Toyota Camry in Pelham, Toyota Corolla in Pelham, Toyota RAV4 in Pelham, Toyota Tacoma in Pelham, or any other models from our diverse selection, don’t delay! Contact our amazing staff today to get your questions answered and one big step toward owning a vehicle that you can love and afford. Are you searching for a new Toyota in Albany, used Toyota in Albany, or a Toyota dealership in Dougherty County? End the search and discover the one-of-a-kind dealership experience at Valdosta Toyota! If you are looking for a Toyota Camry in Albany, Toyota Corolla in Albany, Toyota RAV4 in Albany, Toyota Tacoma in Albany, or any other models from our diverse selection, don’t delay! Contact our amazing staff today to get your questions answered and one big step toward owning a vehicle that you can love and afford. Are you searching for a new Toyota in Chula, used Toyota in Chula, or a Toyota dealership in Tift County? End the search and discover the one-of-a-kind dealership experience at Valdosta Toyota! If you are looking for a Toyota Camry in Chula, Toyota Corolla in Chula, Toyota RAV4 in Chula, Toyota Tacoma in Chula, or any other models from our diverse selection, don’t delay! Contact our amazing staff today to get your questions answered and one big step toward owning a vehicle that you can love and afford. Are you searching for a new Toyota in Hahira, used Toyota in Hahira, or a Toyota dealership in Lowndes County? End the search and discover the one-of-a-kind dealership experience at Valdosta Toyota! If you are looking for a Toyota Camry in Hahira, Toyota Corolla in Hahira, Toyota RAV4 in Hahira, Toyota Tacoma in Hahira, or any other models from our diverse selection, don’t delay! Contact our amazing staff today to get your questions answered and one big step toward owning a vehicle that you can love and afford.